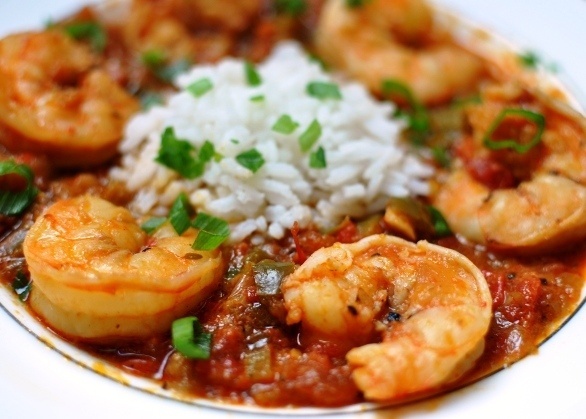 I’ve prepared and eaten many a shrimp creole, but this is my favorite yet. I must admit that the first batch I made was so spicy that it masked the wonderful flavors of the creole. I sheepishly called Danny to ask about the measurements, as I suspected my creole seasoning was hotter than what he used. I was right. It’s way hotter. So I dialed back the seasoning, and while the dish retains a healthy hit of heat, all of the flavors come through as they should. If you have overly ripe tomatoes sitting on your counter, leftover from your farmer’s market stash, your vegetable box or your garden harvest that you’re not sure what to do with, they’re perfect for this dish. 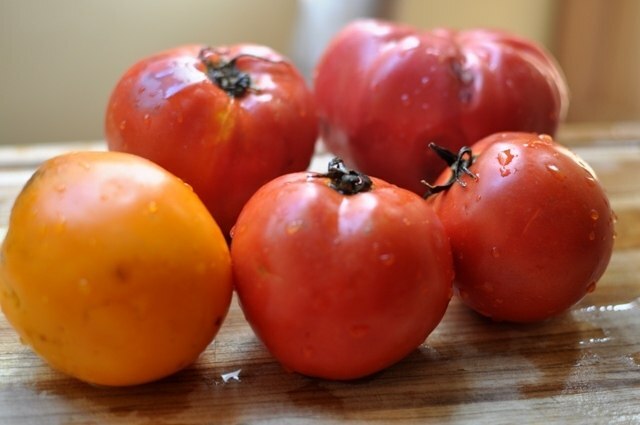 You may notice subtle variations in flavor based on the variety of tomatoes you use. The last group of tomatoes I cooked with was sweet, making the creole sweeter than previous batches. With that in mind and with summer upon us, seek out fresh, ripe, delicious tomatoes for best results. As I’ve learned over the years and more recently, not all creole seasonings are created equal. Some are twice as hot as others. If you want this creole on the less spicy side, you can use less creole seasoning than called for -- just know that you will need to add additional dried herbs and spices to compensate for using less. Most creole seasonings contain a combination of cayenne, salt, black and white peppers, paprika, onion powder, garlic powder, dried thyme, dried oregano and/or dried basil -- with cayenne and salt being the primary ingredients. If you decide to use less creole seasoning, I give instructions in the recipe for amounts of additional herbs and spices to add. If you're considering doubling this recipe, here are my suggestions: I don't think it's necessary to double the amount of shrimp as the two pounds I call for in the original recipe (which serves four) are generous. 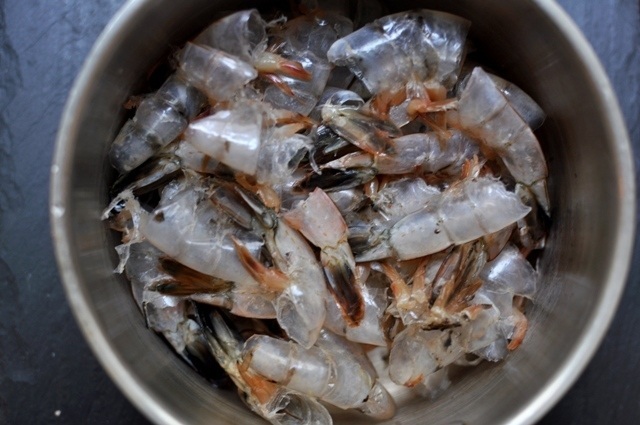 I think three pounds of shrimp would sufficiently serve up to eight people. You also don't need to double the stock -- 4-5 cups should be enough. 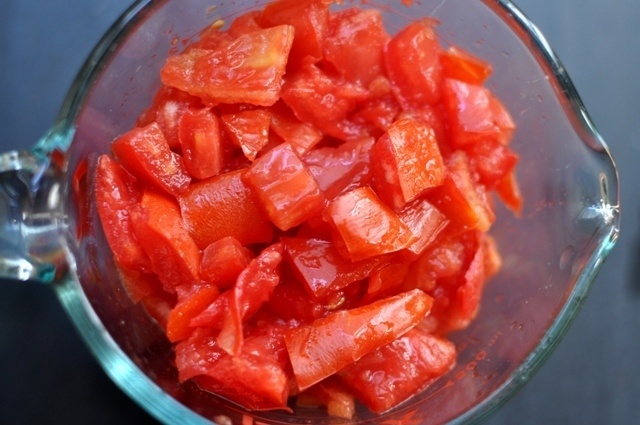 ** If tomatoes are out of season, you can substitute with quality canned whole or diced tomatoes, strained of any liquid in which they’re packaged and removed of any seeds. 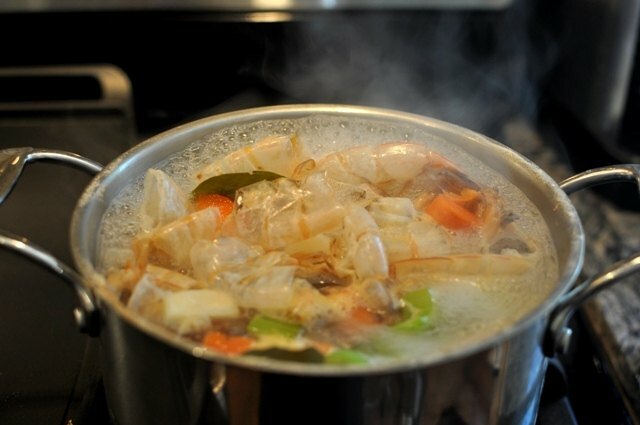 Add the shrimp shells, water, vegetables, bay leaf and peppercorns (if using) to a stock pot that holds at least 3 quarts. Bring to a boil. Reduce heat and simmer uncovered for 45 minutes. Using a sieve or colander, strain the stock into a bowl, discarding the solids. Set the stock aside. If making ahead, it can be stored in the refrigerator until needed. This makes approximately 1 1/2 cups more stock than you need for this recipe. Leftover stock can be frozen for future use. In a large soup pot or very large skillet, melt the butter and 1 tablespoon of the oil over medium-high heat. When butter begins to froth, add half of the onions. Cook, stirring occasionally, until golden brown. 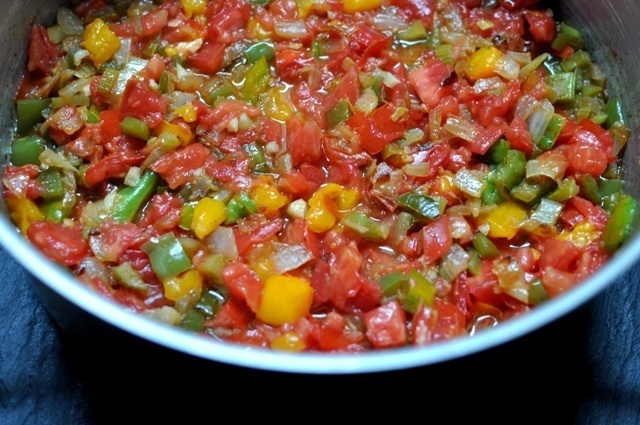 Add the remaining onions, celery and bell pepper and reduce heat to medium. Stir in 1 tablespoon of creole seasoning. (Or, if you want the dish on the less spicy side, add 1 teaspoon of creole seasoning as well as the following: 1 teaspoon of paprika and ½ teaspoon each of onion powder, garlic powder and dried oregano. This will ensure your creole is seasoned enough in the absence of the additional creole seasoning). Cook the vegetables until soft, approximately 6-8 minutes. In one corner of the skillet or pot, push the vegetables to the side, making space to add ½ tablespoon of oil. Add the garlic to the oil. Saute the garlic until it just starts to brown, approximately 3 minutes. Stir in the tomatoes. Add a pinch of salt and 1 teaspoon of Tabasco. Cook the mixture on medium heat for five minutes, stirring occasionally. Add the wine, turn the heat to high and cook for 3 minutes. Add the shrimp stock, bay leaves, black pepper, white pepper and thyme. Bring to a boil, then reduce heat and simmer, uncovered, for 45 minutes. Now it’s time to add your final seasonings. Stir in the Worcestershire sauce and remaining teaspoon of Tabasco. Taste. If you feel that the dish needs more heat, add 1-2 teaspoons more of creole seasoning and a pinch of cayenne. If the sauce is too thick, add 1/4 to 1/2 cup more stock. Add salt to taste, although I find most creole seasoning is so salt-heavy that no additional salt is needed. Add the shrimp and the white parts of the green onions to the pot, stirring the mixture so the shrimp are covered by the sauce. Cook for 8-10 minutes until shrimp are cooked through, stirring occasionally to ensure even cooking. (Note: Cooking the shrimp directly in the sauce will thin it out some; we personally don't mind this. If you'd prefer a thicker sauce, cook the shrimp in a separate skillet and then add to the pot.) 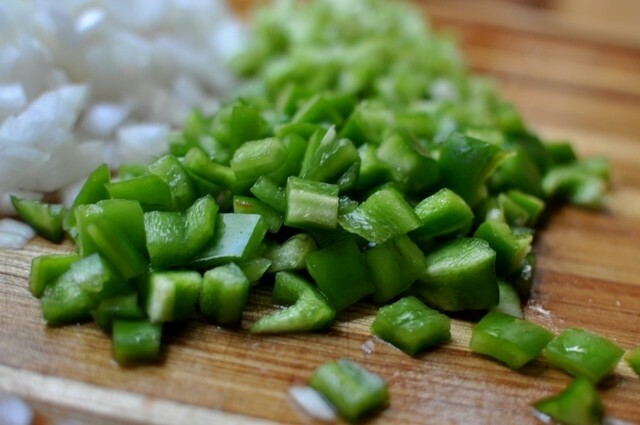 When the shrimp are cooked through, add the parsley and green parts of the green onion. Remove the bay leaves and thyme sprigs. Serve with cooked rice and crusty French bread for mopping up the sauce.